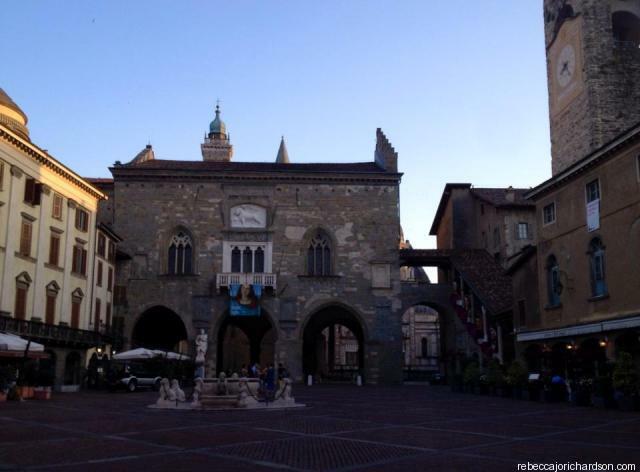 Bergamo is in Italy and just 50 minutes by train from Milan meaning it’s very easy to reach from almost everywhere in Europe. It is also served by it’s own, smaller airport, Orio al Serio International Airport which offers flights to and from many major cities. 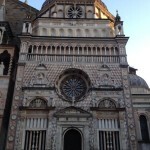 This really makes Bergamo a fantastic option for a weekend break. On arrival, if you take a taxi from the airport to the centre of Bergamo it will cost around 15-20 EURO. This is quite expensive considering the journey is only around 15 minutes but keep in mind there are also buses available that run to the centre if you’re travelling on a budget (bus number 1). 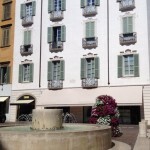 There were actually many hotels to choose from in Bergamo however as I was visiting for business and a central location was important, I opted for the NH Hotel Bergamo in the centre (there is another NH Hotel closer to the airport so be sure you choose the correct one). It’s a nice hotel and was a reasonable price at about 85 Euro per night. I was also able to check in early which was great as I arrived at 7am and needed a place to rest until lunchtime. I paid 10 Euro for the buffet breakfast which included a choice of eggs, bacon and fresh bread and pastries. There isn’t much of an atmosphere in the hotel and no real bar / restaurant area which was a shame but otherwise it’s very pleasant. As a hotel for a business trip or to be close to the train station it’s absolutely perfect but If I go back for a vacation I would probably choose a B&B in the old town. 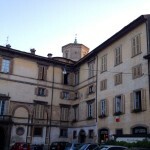 I think staying there would truly let you feel the history of Bergamo. 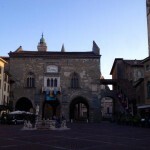 The town of Bergamo is split into two parts, the new town (Citta Bassa) and the old town (Citta Alta). The old town is situated on top of a very steep hill. As the names suggest, the new town is the modern district with malls and offices etc, whereas visiting the old town is just like stepping back in time. 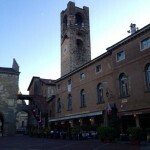 If you want to do some designer label shopping or sit and people watch in a street cafe then you will love the new town. It’s very pretty and clean and not too big so you can easily walk around. If you go to the centre you can find some lovely restaurants, I enjoyed a very nice lunch here and it would also be the perfect place to have a coffee or glass of vino or two. 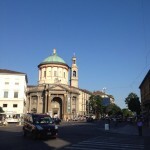 The feel of the place is typically Italian and on a summers day it would be easy to stay for the whole afternoon just enjoying the atmosphere and soaking up the Italian culture. My suggestion would be to spend the afternoon having lunch and shopping in the new town and then head up to the old town for dinner in the evening. 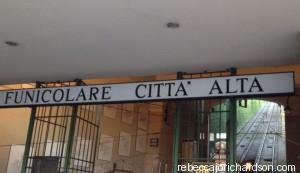 You can take a taxi up to the old town but I really recommend you take the Funicolare (cable rail) to Citta Alta. A return ticket for the railway is just a couple of Euro and it’s a beautiful journey (so long as you’re not afraid of heights!). It goes up and down at an almost vertical angle so the views are spectacular. The first stop is the old town but you can also take the railway up even further to San Vigilio, or of course walk if you want to enjoy the views on foot! 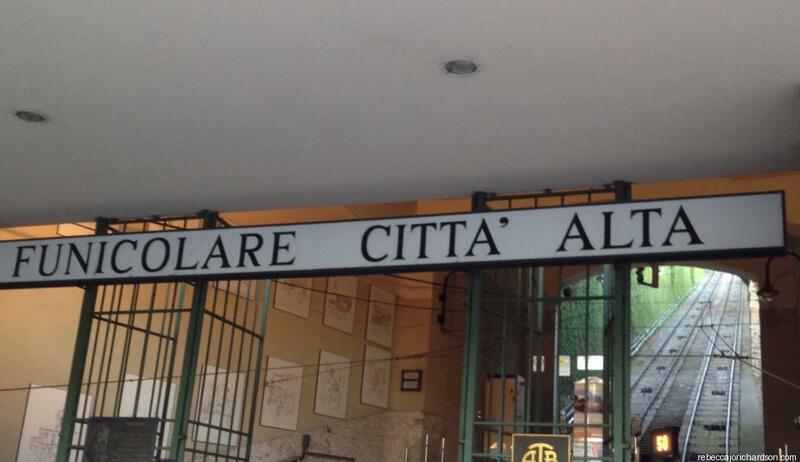 Once you arrive you will feel like you’re in another time. Peaceful, serene and beautiful. If you’re looking for a romantic city break you should definitely consider staying in one of the hotels here. 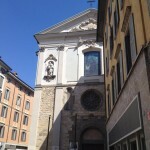 It’s also a place of historical importance and you will see the spectacular architecture of The Colleoni Chapel (Cappella Colleoni), built between 1471 and 1475 and The church of Santa Maria Maggiore, which was founded in 1137. 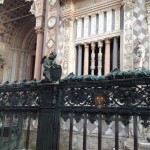 Be sure to make a wish by rubbing the coat of arms of condottiere Bartolomeo Colleoni on the gates of The Colleoni Chapel. The coat of arms has three fig-like objects, a reference to his name, which in Italian, sounds very similar to coglioni – testicles! Apparently this soldier possessed three! Now, I can’t guarantee it but I have been told that these wishes come true sometimes! After seeing the sights and maybe buying some trinkets in the lovely little shops tucked in the narrow cobbled streets, head to one of the restaurants for dinner. Looking at them as I passed, I don’t think any place would be disappointing here, it was very difficult to choose! If it’s a nice evening then opt for one with a terrace or garden. I enjoyed a lovely pizza accompanied with a local red wine and great service on a roof terrace at Restaurant Il Sole (which is also a hotel). It was wonderful to see the old town and hear the church bells ringing while eating the best prosciutto pizza I’ve ever had! 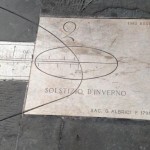 Well, it is Italy after all! Previous Post Actually, I can.